Lottery.com.au is your number 1 resource for all information regarding the Australian lottery, lotto games, powerball results and dividends. You can also purchase your powerball, lucky lotteries and lotto tickets online right here. Whether you’re searching for online lottery results or a guide to buying system entries for Australian Lottery tickets, Lottery.com.au is the source for all your online lotto needs including the new $2 and $5 lucky lotteries. Australian powerball and lotto games are played online right across the country via safe and secure 128 bit SSL encrypted web sites such as Ozlotteries and Lottery.com.au. 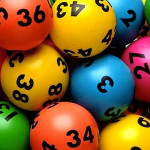 Lotto is played on most nights of the week with Monday Lotto, Tuesday Oz Lotto and Wednesday Lotto, Thursday Powerball Saturday Lotto and now Lucky Lotteries all having a very strong player base. 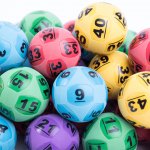 Whether you play Lotto in Adelaide, Brisbane, Sydney, Perth, Melbourne or anywhere else across Australia, you are playing in the same lottery and national lotto prize pool. Lotto Results and Art Union or Prize Home Lottery Results are all available here at Lottery.com.au and you can also purchase your Lotto and Powerball game entries through our government approved site partner OzLotteries should you wish to avoid queues at newsagencies and shopping malls when buying your tickets. We play five different types of lotto in Australia. The regular form of lotto is where you need to select the six correct numbers in the draw. Six winning numbers and two supplementary numbers are drawn from a barrel holding 45 balls numbered 1-45 inclusive. To claim a prize, you must have at least three winning numbers and one of the two supplementary numbers marked in one coupon. This form of ‘regular’ Lotto is played on Monday night lotto, Wednesday night lotto and Saturday night lotto. 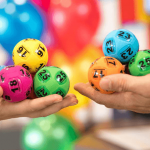 Oz Lotto is played on Tuesday night where seven winning numbers and 2 supplementary numbers are drawn from the barrel of 45 balls. To claim a prize you must have any 3 winning numbers plus either of the two supplementary numbers marked on your lotto entry. Powerball is played on Thursday night and with a guaranteed first division prize pool of $3 million minimum. The Powerball lottery regularly jackpots, sometimes up to and even over $50 million. To win Thursday Powerball, you need to have the seven winning numbers in the first panel of your ticket, and also the single ‘Powerball’ number in the second panel. The Powerball number is selected from a total of 20 balls numbered 1-20. To win a prize dividend in the Powerball draw you must have selected at least 2 correct numbers from the first draw of seven winning numbers on your Powerball ticket plus also the Powerball number drawn. Purchase your next Lotto and Powerball tickets online right here.